In case you missed it, the Washington Nationals clinched the NL East Championship in a sweep over the Atlanta Braves. This is their second title in three seasons. Needless to say, they were happy. 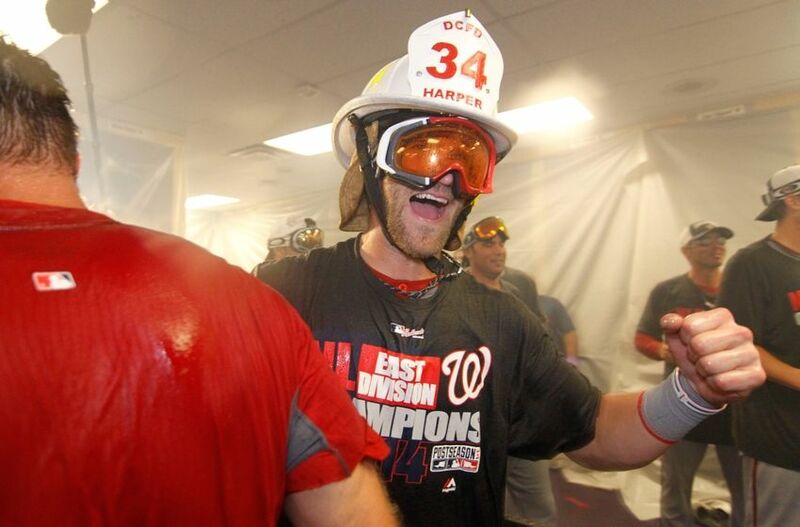 Later in the night, they covered everyone (and reporters) in champagne and Miller Lite, and Bryce Harper wore a fireman helmet the DCFD gave him. So there’s that. Follow the Nationals on Twitter and GO NATS!